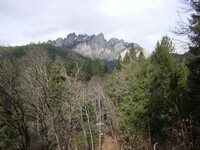 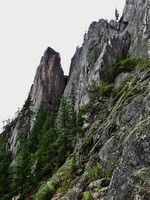 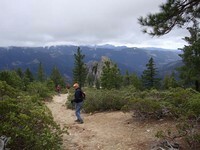 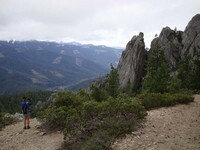 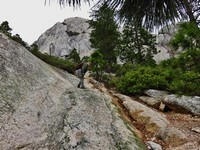 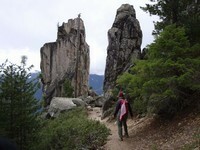 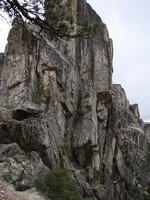 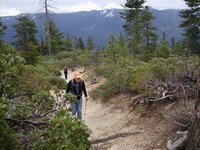 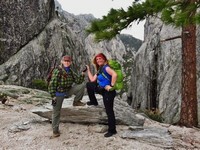 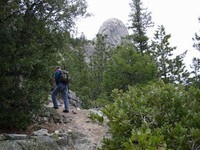 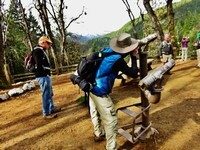 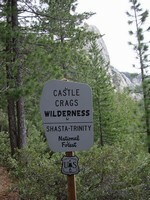 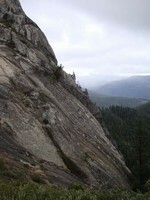 We started with a short side trip over to Vista Point for our first full look at the Crags for the day. 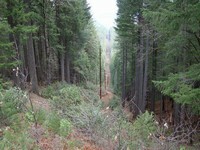 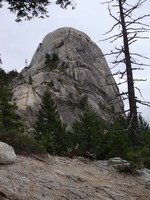 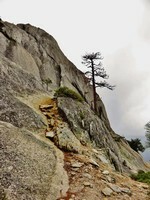 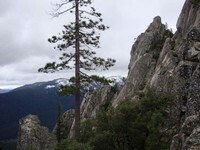 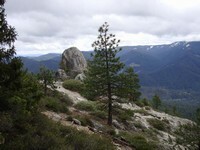 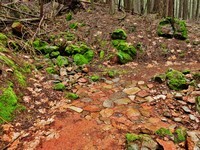 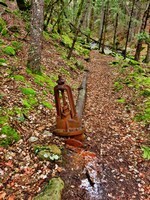 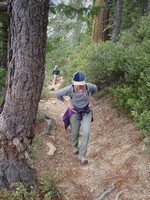 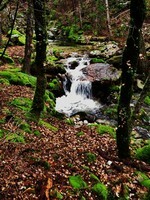 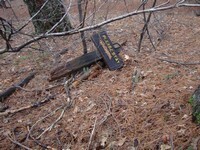 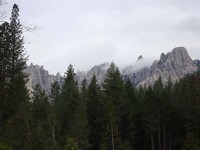 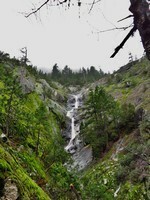 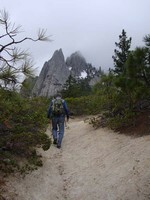 From there it was up the Castle Dome Trail under mostly overcast skys with temperatures in the low 50s. 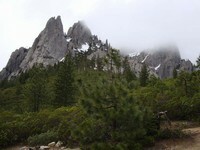 We did manage to avoid all of the forecast rain although it looked like systems were coming in at various points during the day. 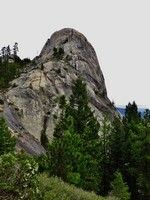 We reached a nice lunch spot beneath Castle Dome a bit before noon. 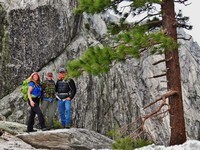 Some of us sat down for a quick Hank lunch while others explored higher up on the rock face. 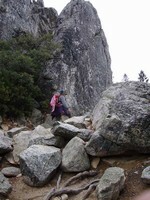 On the way down the group again split with some heading off to visit Root Creek Falls with others opting to head back to the TH. 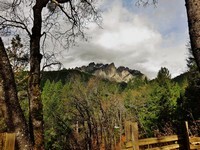 We refreshed ourselves at the Siskiyou Roadhouse in Yreka, which contrary to common knowledge, has not been closed for business over the past year.